It’s Thanksgiving weekend and I’m spending it at family’s. Getting away and recouping feels great, but i can’t lie, i really wish i had a laptop to work on. The past few days I’ve been window shopping for one and i must admit I’ve been drooling a little for a MacBook Pro. My cousin brought her mbp (13″ non-retina) for me to check out. I like it a LOT. The last lap top i had was a 17″ inch Sony Vaio. It was a great machine. I thought the 13″ mbp would feel tight and crowded bit it didnt. My only complaint is that things look a bit “soft” around the edges. My monitor at home is very bright at sharp, so maybe I’m just spoiled. I looked up her mbp and saw that for the ram and GB of space the non retina mbp is not bad at all. But. ..the price… uggh. I was curious about the low end retina mbp and my face dropped at the gigs of space in the low end one, 128gs. Really? Who won’t fill that up within a month? Who can work with that? That’s half of my music. When i liked at the price…uggghhh… but the screen! And OSX…is it worth it? I don’t think it is. I know i can get something more powerful for a lot less. So here’s what I’m struggling with. .. whats a good mbp alternative? I want to use it for front end work, have a beautiful bright crisp screen, not break the bank. I’m looking to spend $600 (but could sacrifice up to $750 for an amazing machine), lightweight (i want to take it with me everywhere) and definitely minimum 500 GB since I want to be able to dual boot Ubuntu or Mint. I listened to every episode of Starthere.fm. There are eleven episodes so far, each ranging from 22 to 45 minutes. I listened to these in the order they were published /pushed/released. Is there a specific word for when a podcast is made public? The podcast is an introduction to web developing and is hosted by Dan Miller and Keith Monahan, two self taught developers. It’s awesome. I highly recommend it and look forward to more podcasts. How To Hold A Pencil, I skipped around a bit. The basis of the podcast are interviews with self taught developers and sharing how they got into the business. I’ve listened to a few of the podcasts. They range from 22 to 35 minutes. I also recommend you check it out. Listening to podcasts the past few days has brought something to light. I thought I wanted to jump in and do back-end work. But the more podcasts I’m listening to, the more attracted I am to hearing about design, the ux/ui experience. I don’t think I would want to just design as I was studying graphic design in college and I enjoyed it, but it wasn’t fulfilling. For now, I’m going to focus on design and front end development. Since before my NYPL class ended I’ve been wracking my brain trying to figure out what programming language to learn next. I’ve (finally) come to the conclusion that for now, I’ll really study CSS and Bootstrap while focusing on the ux/ui. I think it makes logical sense to have a project in mind and work on what you need to learn to create your vision. So i’m going to work on CSS, Bootstrap and maybe a little JS, if it calls for it. Sorry for any typos, updating from my cellphone. Technology, I love you. Decided to get myself more comfortable with Github. I decided I’m going to spruce up that personal page I created for my friend and figured, let me use Github to document the steps. It’s not as easy to set up Git as it was on Windows, since I had to create a keygen on Terminal. Windows generates these… i physically made it happen. But i gotta tell you, I have the only head rush after an hour trying to set it up. I feel so empowered! Note to those attempting to do it: follow Github’s directions to a T. capitalize what they capitalize and always check your spelling. Remember ONLY follow Github’s instructions and NOTHING else. Trust me, you will save yourself 53 minutes, as when I followed Github, it didn’t take even take 10 minutes to set up. I’ll just say those other 53 minutes were practice on what NOT to do on Terminal. Okay, I finally figured out how to post my project page on Github. It took me jumping back on my Windows partition and within 5 minutes, I was up and running. Sigh… I wish I was more Ubuntu/Command line savvy, as I’m enjoying the operating system. Here’s the page for those interested. Little background story: My friend is an Insanity Coach and when I asked on my FB page if anyone wanted a free page she asked. She became the personal project I worked on for my NYPL program. 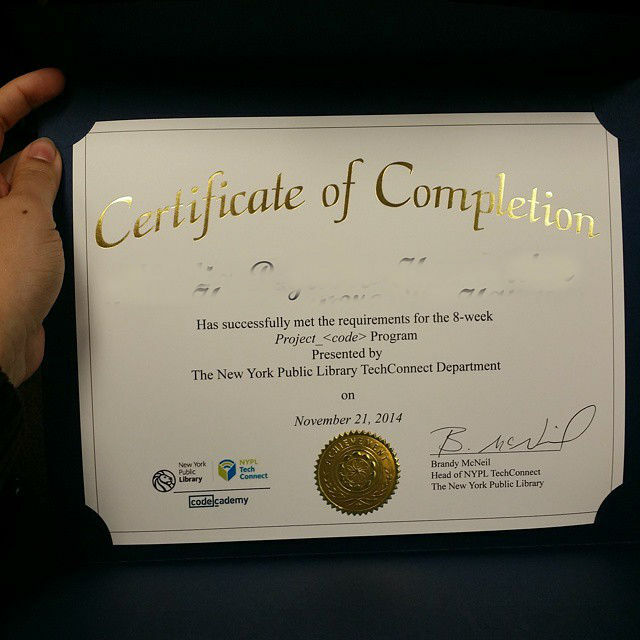 Yesterday I graduated from my 8-week course from the NYPL’s TechConnect Program: Project_<code>. I feel amazing. It’s been over 24 hours and I still feel giddy. It’s the first time in a long time, I stuck to something and saw it to the end. Except, in this case, this feels like chapter 1 in my journey. I feel pretty amazing having my friend hear about this project and getting in. It was great. I feel blessed that something like this even exists because not only has it motivated me, but it’s given me a REAL start to my path. There is SO much information, so many free tutorials that your head kind of spins and you don’t really know where to start. I feel lucky I got such an awesome instructor because honestly, he’s more than a “for hire” teacher where he’s there for a paycheck. My instructor was answering emails and sharing links on our forum at all hours of the day. THAT’s the kind of teacher you want along side of you. It’s really inspired me to dedicate more to my little blog and not only document my journey, but maybe help someone out there as well. 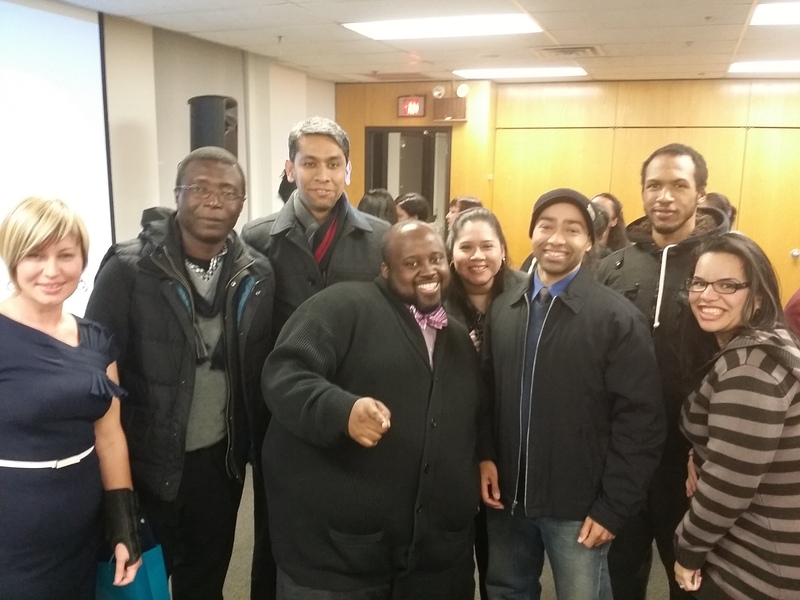 Some of my classmates and our teacher, Ralph Jones sporting the stylish bowtie (That’s me on the right). My Certificate. Name edited out because google exists. 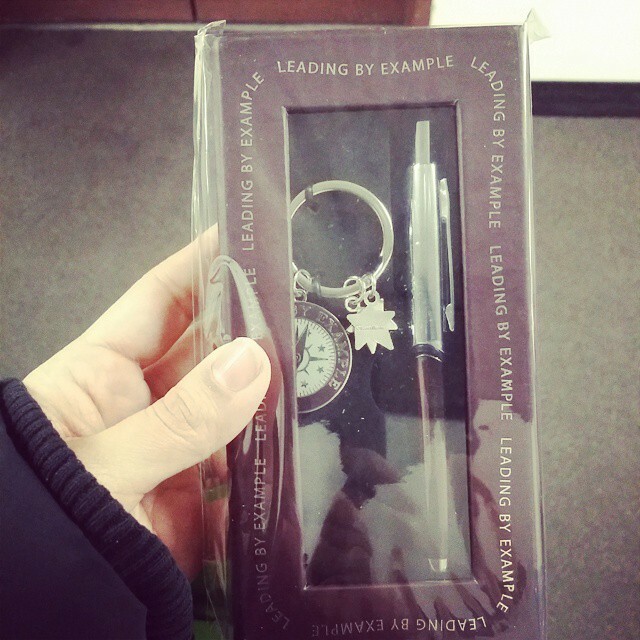 I was awarded this pen for “Outstanding Work”. I was shocked, flattered and humbled all at once. I finally felt confirmation that if you put out hard work and good energy out into the universe, the universe will acknowledge it. Since finishing that Bootstrap tutorial, I’ve been thinking of re-doing the personal page I did for my friend, which I’m too embarrased to show her because it just seems… I don’t know. I feel she deserves something better. Don’t get me wrong. I am SUPER proud at my first real page. Just wondering if she would like it. Guess I’ll have to host it somewhere. Would I be able to load it on Github and show her? Got to go find this out. I know nothing of web hosting.